Through our broad mission to create positive change in the lives of individuals and communities, Volunteers of America helps some of the most vulnerable people in the state of Tennessee. Through compassion, care, and a helping hand, our programs uplift and empower seniors, veterans, and individuals with developmental disabilities. Volunteers of America's Supportive Living Programs in Tennessee help individuals with developmental disabilities live safe, healthy, and engaged lives. 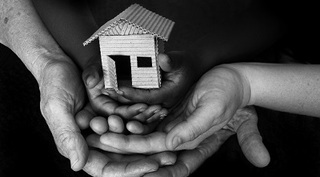 Volunteers of America is one of the nation's largest nonprofit providers of affordable housing for low-income seniors. In Tennessee, we help seniors live safe, healthy, and independent lives through affordable housing options. Volunteers of America proudly serves veterans who are experiencing homelessness and substance abuse issues. Our services link veterans with employment training, affordable housing, and other resources that help them reintegrate into their communities. Thank you to CNS Y-12 Community Investment Fund of East Tennessee Foundation for their support of our Tennessee veterans programs.